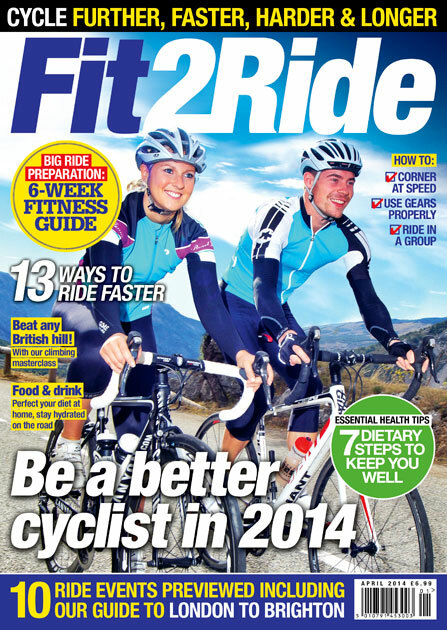 Fit2Ride is the ultimate guide to long-lasting fitness, health and cycling success. Our debut issue is directed towards former fair-weather cyclists wanting to take on bigger challenges in 2014. We explain how to accomplish your cycling goals, whether it is a 100-mile charity ride, a Continental sportive or a touring holiday. Beginning with a brief guide to the fundamentals of bike, body and fitness jargon, Fit2Ride goes on to focus on specifics, with sections dedicated to training, bike skills, nutrition, health and safety, bike set-up and event suggestions to attempt this year. Throughout the issue we also meet real-life riders who prove that by following our advice everyone’s cycling can flourish.